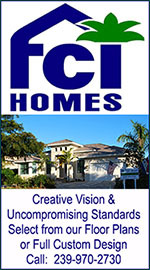 Eagle Creek is a gated golf and country club development centrally located between Marco Island and Naples on State Road 951. It offers award-winning homes and condominums and numerous amenities. Residents enjoy a championship golf course, Har-Tru tennis courts, exceptional dining at the country club, exercise and game rooms, olympic size swimming pool, saunas, whirlpool and around the clock security. Eagle Creek is one of Southwest Florida's best real estate values for country club living.